Don't you hate it when your copper supplier sells you poor quality ore and then refuses to offer a refund, and then insults your messengers and sends them away through enemy territory? 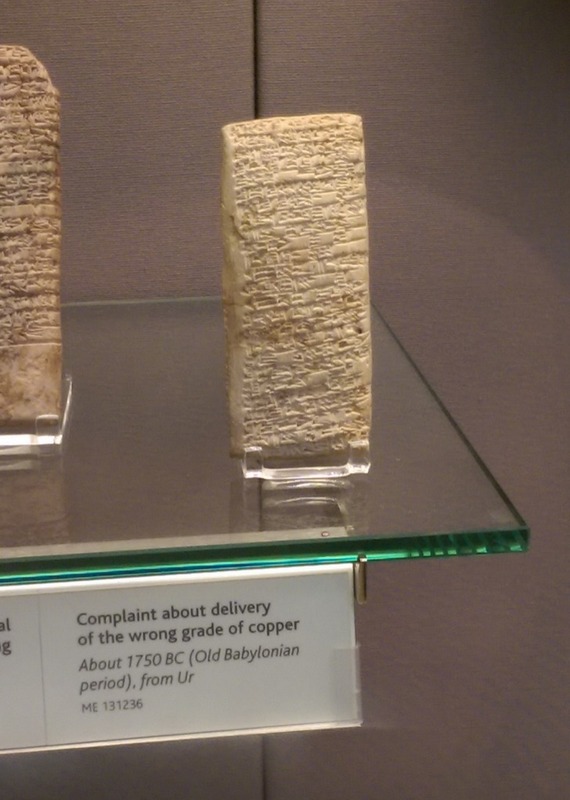 Such was the unfortunate case of a customer named Nanni in Babylonia, 1750 BC. The drama began when Ea-Nasir agreed to sell Nanni "good quality" ingots of copper. When Nanni sent his messengers to collect the goods, it was determined that the copper was "sub-standard" quality. It was then that Ea-Nasir committed the most unforgivable sin in the customer service playbook. He said to them "If you want to take them, take them; if you do not want to take them, go away!" 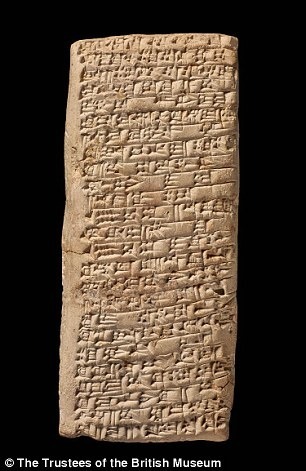 In what is now known as "the complaint tablet to Ea-Nasir," the outraged Nanni poured his heart out onto a clay tablet, because as you know ...Yelp wasn't around just yet. Nanni carved the tablet in cuneiform. It was found in the ruins of Ur - modern day Iraq. The British Museum acquired it in 1953, where it currently resides to remind us of the importance of being nice to people. In his book Zombie Loyalists: Using Great Service to Create Rabid Fans, Peter Shankman says “you get the customers you want by being beyond awesome to the customers you have.” He talks about how going out of your way to show your customers that you care about them makes your customers so loyal to your brand that they become your metaphorical zombies...and sometimes they'll even convert other zombies on your behalf! Unfortunately, Ea-Nasir was unable to follow Peter Shankman's great advice since it arrived a few thousand years too late. But the clay tablet is proof that if you treat your customers poorly, they will ensure the world knows about it...whether it's in ancient Babylonia or today at the supermarket. There are probably more tablets buried out there chronicling the ongoing drama between Nanni and Ea-Nasir, as we've been left with a bit of a cliffhanger here. But at least we'll continue to enjoy the piece of history that Nanni has left us, shared below. When you came, you said to me as follows : "I will give Gimil-Sin (when he comes) fine quality copper ingots." You left then but you did not do what you promised me. You put ingots which were not good before my messenger (Sit-Sin) and said: "If you want to take them, take them; if you do not want to take them, go away!" Take cognizance that (from now on) I will not accept here any copper from you that is not of fine quality. I shall (from now on) select and take the ingots individually in my own yard, and I shall exercise against you my right of rejection because you have treated me with contempt."